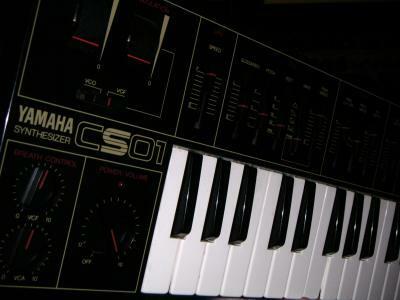 The Yamaha CS-01 is a classic analog monophonic, single oscillator synthesizer with a 2 1/2 octave mini-sized keyboard. It's tiny and portable, it can run on batteries or via a wall-wart AC/DC converter, and there is a built-in amplifier and speaker. As It was marketed to the first synth buyer, it looks as a toy, but it has been since adopted by many professionals for its great sound. The CS-01 features a very nice 12dB resonant VCF filter. Sine, square, PWM and noise type waveforms. LFO controls - glissando (much better an funnier as a portamento) - a ADSR envelope generator - pitch & mod wheels and even a breath controller input (wich has separate knobs for VCA and VCF amount). 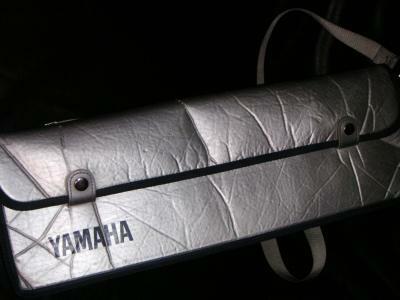 A CS-01 mkII was later released by Yamaha soon after the original. 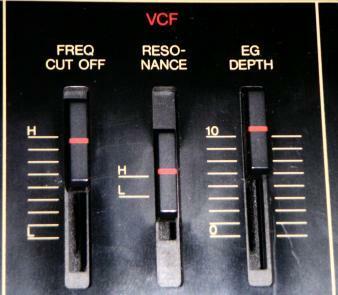 It featured an improved 24dB resonant VCF filter with adjustable slider control over resonance instead of switchable on/off resonance as found on the original. The CS-01 mkII is also identifiable by its black case with green letters. The CS-01 did come with a cool carrying case. 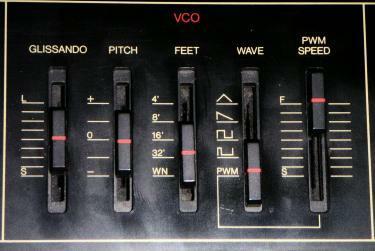 You can download the Yamaha CS-01 manual here. I have one of these, and loved it except for one thing-- the filter resonance, even in the 'high' setting, is not quite wet enough. I wanted near oscillation! So, I went inside and changed the resistor value to gett it nice and wet in the h setting.